Angela Little is well-experienced in the field of Property Management and runs her own training company: Real Star Training. 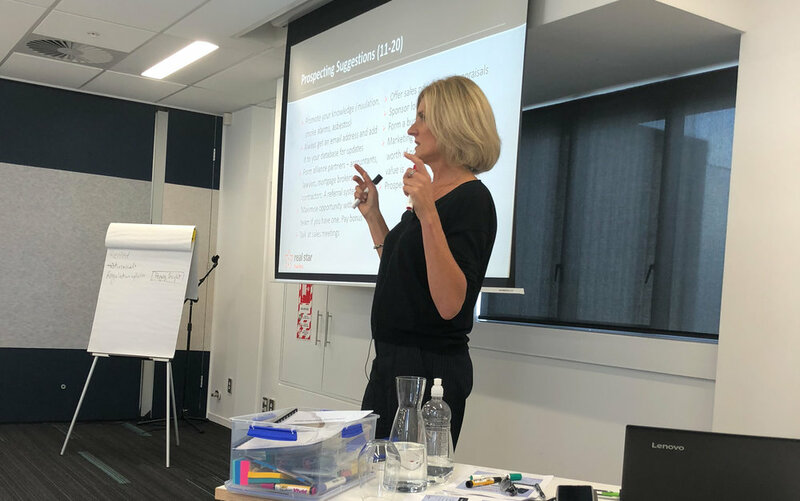 After talking to people in the real estate industry, REINZ engaged Angela to present a 2-hour, short, snappy workshop at Events on Khyber earlier this year on the topic of Key Prospecting Strategies. In this practical and engaging workshop, Angela covered off a number of handy tools that Property Managers can implement to make their businesses grow along with checklists for streaming database activity for continual prospecting. There were scripts and dialogues, closing techniques and a focus on how to develop a desirable culture in business. The topic was a hit with around 70 Property Managers and Business Development Managers gathering in our largest room for some useful and fun training. Angela thought it was a great set up, especially since all the AV gear was ready-to-go with a well set-up room, large screens and the ability to scribble over all the walls as they are whiteboards! We look forward hosting more workshops with Angela Little in the future.